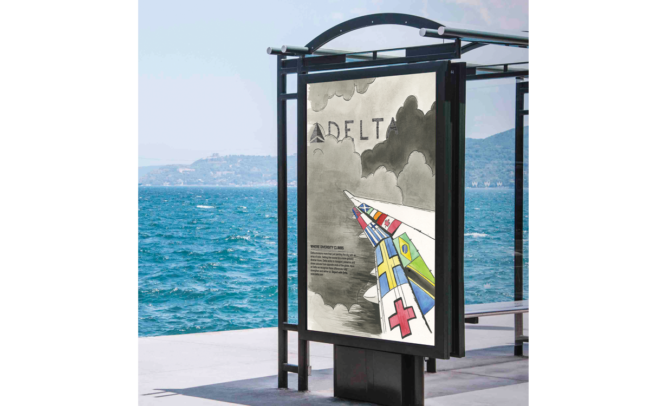 As a corporation Delta strives to reach out to all people and cultures around the world. 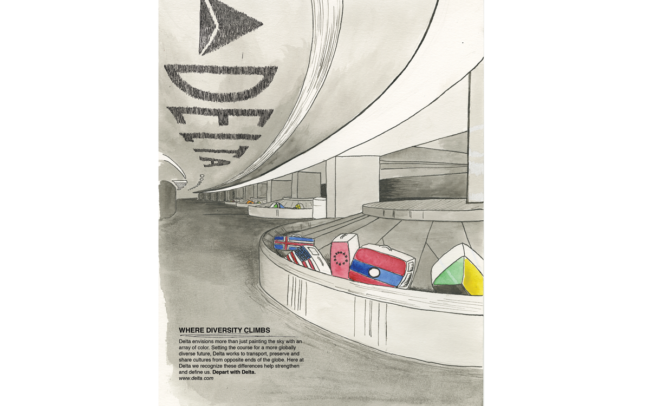 Created with watercolor and ink, flags from different cultures are highlighted in bold color to show pride in ones own nation as well as respect for others. 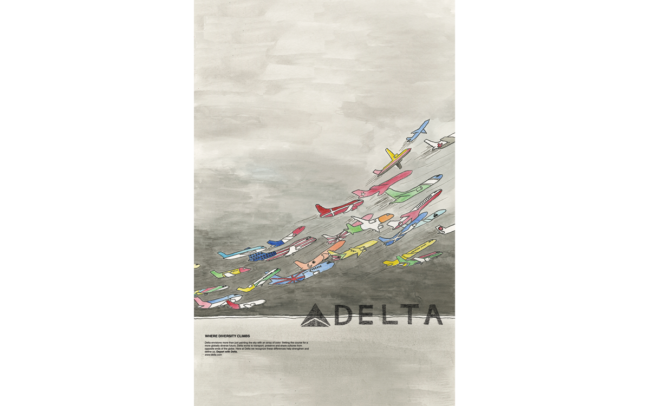 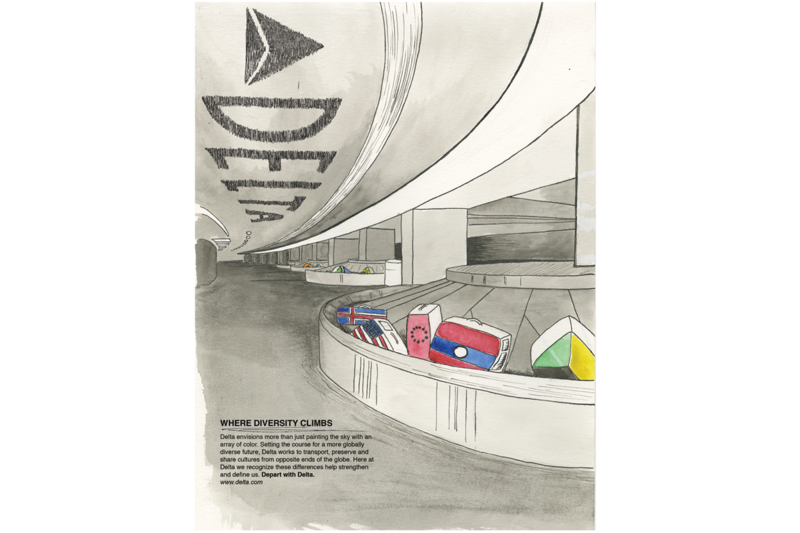 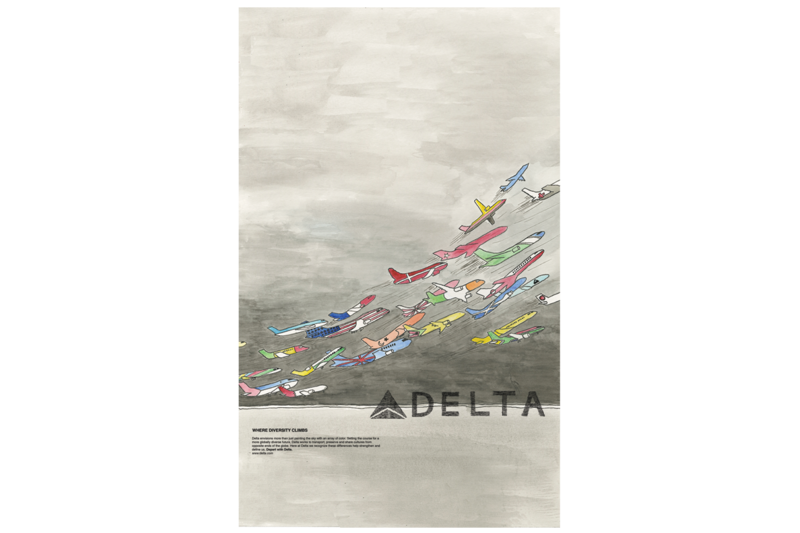 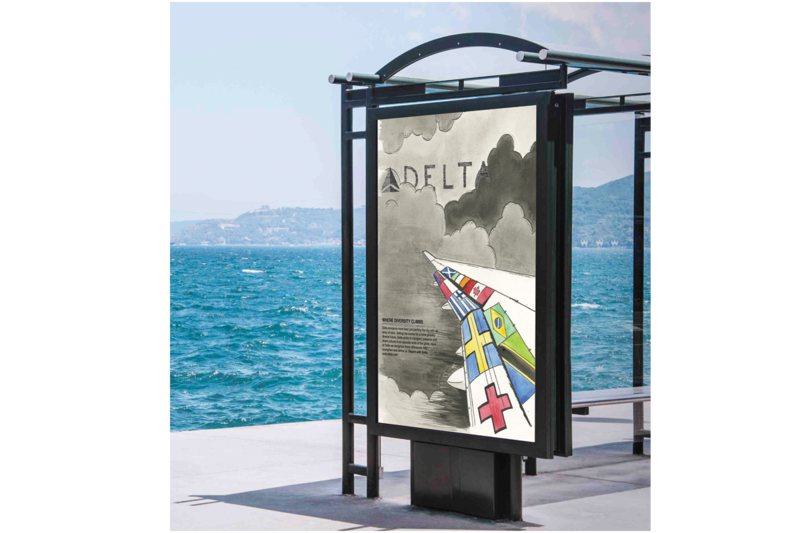 These corporate ads are meant to reassure clients that they can trust Delta’s mission and motivate them to learn more about people, places, and unique cultures.